Funny and appropriate to all areas of life. By the way, I think that getting a face tattoo is one of the surest signs that you are a tough guy. I imagine it is extremely painful and it is a line that cannot be uncrossed. I didn't have plans TILL I got hit. Then, I planned to cry. Mike Tyson! Pfffttt! This just makes me want to KICK HIS @$$!1! 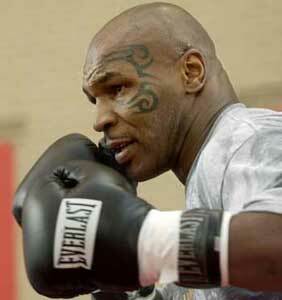 I remember when getting hit by Mike Tyson meant something!